The region which first established Bordeaux's reputation, Graves wines were exported to England as early as the 12th century. The names is derived from ‘gravel’ and the best soils are gravel-rich, mixed with sand and occasionally clay. It is larger in areas than the Médoc but produces only half the amount of wine. The best wines were first classified in 1953 with this classification confirmed in 1959. Graves is the region which first established Bordeaux's wine reputation. Its wines were exported to England as early as the 12th century and Samuel Pepys drank Ho Bryan (sic) in London on 10th April, 1663. The names Graves is derived from ‘gravel’ and the best soils are gravel-rich, mixed with sand and occasionally clay. Graves is larger in areas than the Médoc but produces only half the amount of wine. The best wines of Graves were initially classified in 1953 with this classification being confirmed in 1959. Until 1987, this entire region, which runs immediately south of the city of Bordeaux until it reaches Sauternes, was known as the Graves and its entirety is still sometimes informally referred to as such, but from the 1986 vintage a new communal district was created within Graves, based on the districts of Pessac and Léognan, the first of which lies within the suburbs of the city. The climate is milder than to the north of the city, and the harvest can occur up to two weeks earlier. 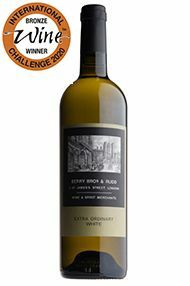 This gives the best wines a heady, rich and almost savoury character, laced with notes of tobacco, spice and leather. Further south, the soil is sandier with more clay, and the wines are lighter, fruity and suitable for earlier drinking. Ch. Haut-Brion, Ch. la Mission Haut-Brion, Ch. Pape Clément, Ch. Haut-Bailly, Domaine de Chevalier, Ch. Larrivet Haut-Brion, Ch. Les Carmes Haut-Brion, Ch. La Garde, Villa Bel-Air. A 50/50 blend of Sémillon and Sauvignon Blanc, this classic example of white Graves is bottled for us by Famille JM Cazes. Gorgeous aromas of citrus oil and white peaches fill the nose, while the palate strikes the perfect balance of caressing soft fruit with a vibrant lick of acidity on the finish. Perfect as a light apéritif but also delicious with asparagus, seafood or goats' cheese tart. Located in the commune of Cabanac-et-Villagrains and owned by the Kressman family (who also own Ch. Latour Martillac), Ch. 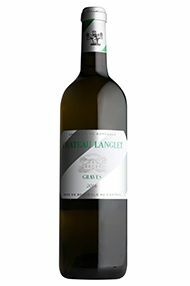 Langlet is one of the oldest vineyards in the Graves region. This white is very limited production, as the fruit is sourced from a single, 0.6-hectare vineyard. 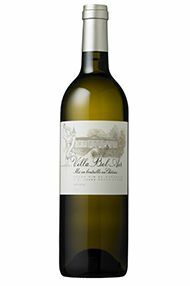 Made entirely of Sauvignon Blanc, it spends some time in oak barrels, 20 percent of which are new, adding texture and complexity. The nose is intense with notes of citrus and a hint of tropical fruit, while the palate is rounded with generous fruit. The finish is long and elegant. This will be particularly good alongside any white fish or shellfish. Ch. Villa Bel-Air is so sumptuous, rich and decadent that we had to check this wasn’t something more ‘grand’ as we moved through the flight of wines at the tasting. This will provide early drinking, which will last if you want it to, but I cannot see there being another wine that offers such good value for money from 2010. Get in on the ground floor of the Lynch Bages stable and be prepared to be wowed! Supple, charming and extremely approachable even at this young age, this is likely to be one of the most affordable wines of the vintage. There is real value here, especially when you consider how the expertise of the Cazes family (Ch. Lynch-Bages), who own and manage the estate, is a crucial component to its creation. 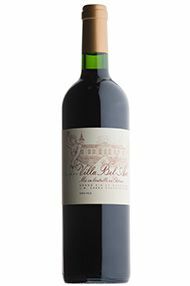 The 2018 vintage suits the style of Villa Bel-Air very well. Always generous in style, here it has gained even more flesh and, for a wine at this level, could even be called sumptuous. Mostly on the red fruit spectrum, showing redcurrant and strawberry, there is a most appealing open, silky texture that will give early pleasure. Drink 2021-2026.